Greece is a country of magnificent contradictions, a patchwork of civilization, culture and color; a continuous adventure through time, from the past to the present. It is a country with rich history, a country that is small in area yet colossal in its diversity. Having successfully served the Tourism Industry for over 27 years, our company,Christianakis Travel & Tours, guarantees to satisfy the demands of the modern traveler in Greece, offering exclusive services and travel plans with the aid of our own transportation fleet as well as our cooperation with hotel units that provide similar services. Christianakis Tours was founded in 1981 and in response to the constant expansion and growing demands of the tourism market, we extended our services to include travel for the disabled within Greece-thus followed the establishment of Christianakis Travel in 1999. Christianakis Travel continued with the same success thus far and went one step further, breaking new ground in the Hellenic Tourism sector with the provision of accessible holidays to handicapped travelers in Greece. We offer to tourists-travelers with mobility problems (wheelchair users) the opportunity to travel with specialized wheelchair-accessible minivans so as they can enjoy their best vacation ever, experiencing the beauties of accessible Greece. Our combined investment in professionalism of our comprised team of employees and infrastructure of our modern fleet of buses and minibuses, along with our specialization in provision of services to people with disabilities, has successfully established us as a vital member of the Greek Tourism sector. As such, we are devoted to providing innovative, quality services meeting the individual needs of our customers at a competitive price. As our aim is to accommodate the individual needs of each customer exclusively, we offer via our network of collaborators, an extensive range of Deluxe, 4 and 3 star hotels, professional tour guides in various languages, well-trained drivers, special cruise offers and sightseeing excursions to historical sites, considering and adapting to the needs of all, including handicapped persons. We are the ONLY TRAVEL AGENCY in Greece that provides transportation for the physically challenged and handicapped persons. We are member of HATTA organization. Our services and holiday packages are for all travelers including the physically challenged and disabled people with tailor made services to suit their needs. Transfer from the International Airport of Athens-Piraeus port- Patras port-Katakolos port to any wheelchair accessible destination in Greece. 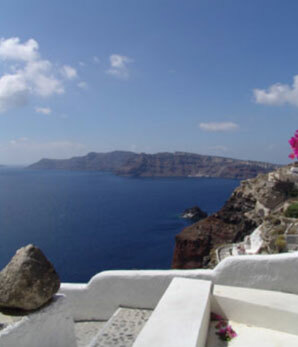 Accommodations at wheelchair-accessible hotels in Greece for handicapped travelers with specially customized apartments to cover all their special needs. Specially furnished hotels to accommodate handicapped persons in order to maximize comfort and make their stay unforgettable.